JUNIOR MEN PREMIERS: Cougars’ Junior Men’s team of coach Patrick deVos, Brodie Parsons, Tom Nieuwerkerk, Liam McEvoy, Kyron Salter, Ky Edwards, Ethan Schultz, Owen Antonio and assistant coach Hayley Whittaker took out their respective premiership in the recent Mount Gambier Basketball Association grand final. 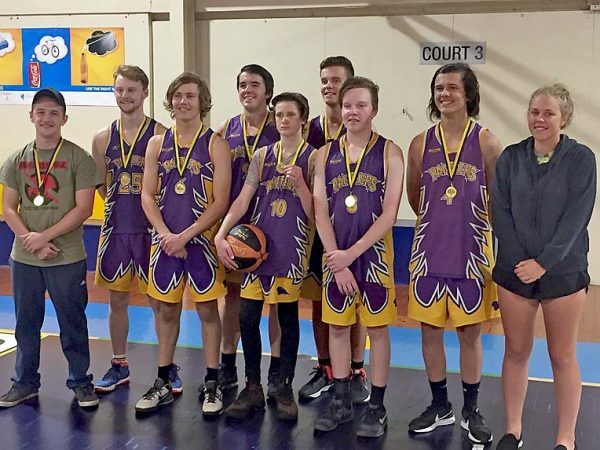 GRAND final day was the highlight for the Basketball Mount Gambier Junior 2017-18 summer competition. The event was deemed a success and large crowds were in attendance, while positive spirit and good sportsmanship was displayed throughout the finals.